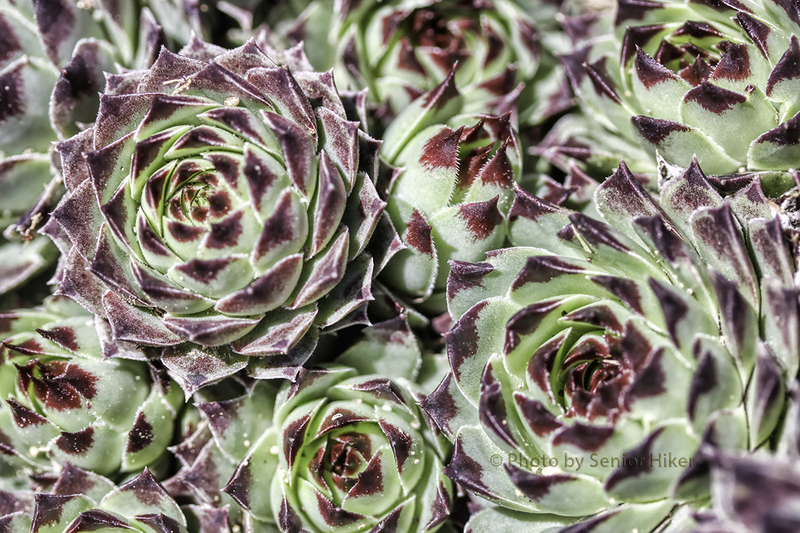 My mother had sempervivum in her flower garden when I was growing up. 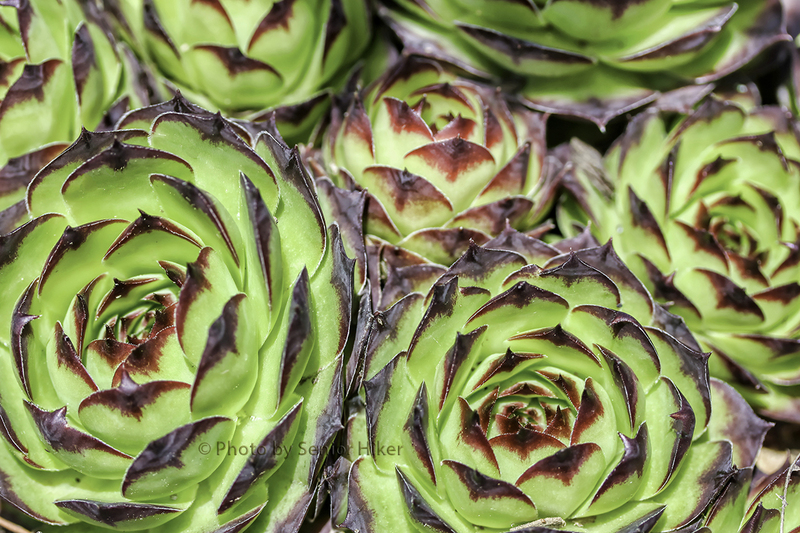 Of course, back then I didn’t know they were sempervivum — she always called them ‘Hens and Chickens’ since the mature plant was surrounded by smaller, younger plants. My Beautiful Bride and I discovered sempervivum when we moved to the Glade and had many rocky spots where nothing but weeds seemed to thrive. Sempervivum thrived there as well, and so we planted some around your yard. 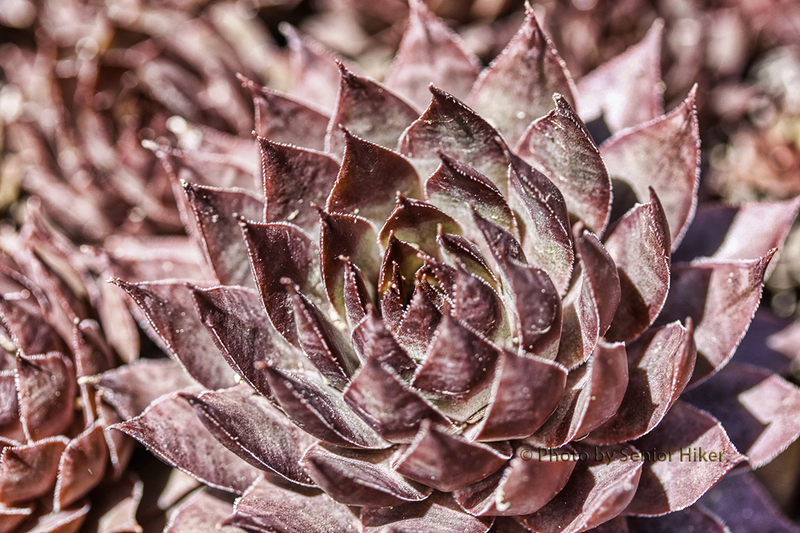 Sempervivum get their name — ‘always alive’ — because they survive all seasons. Even when everything else in our yard has turned brown in winter, the sempervivum are still colorful. 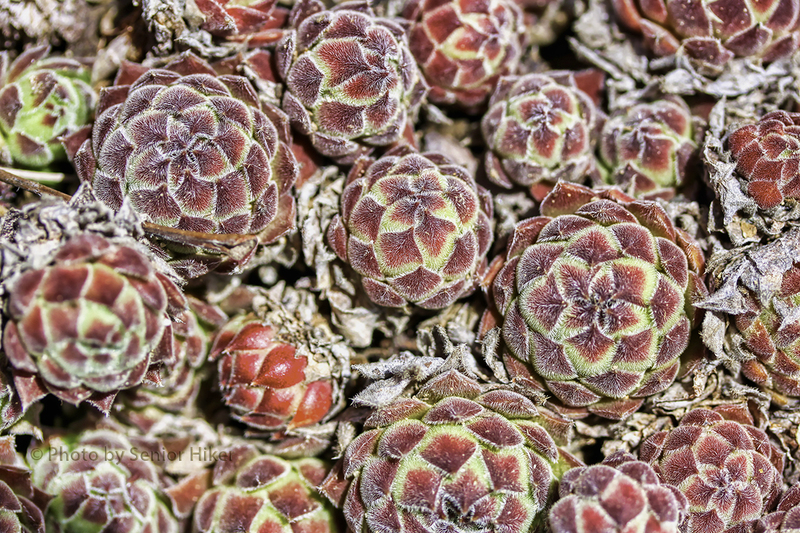 We’ve been surprised at the wide variety of shapes and colors in the sempervivum. That makes it hard to pick a favorite. 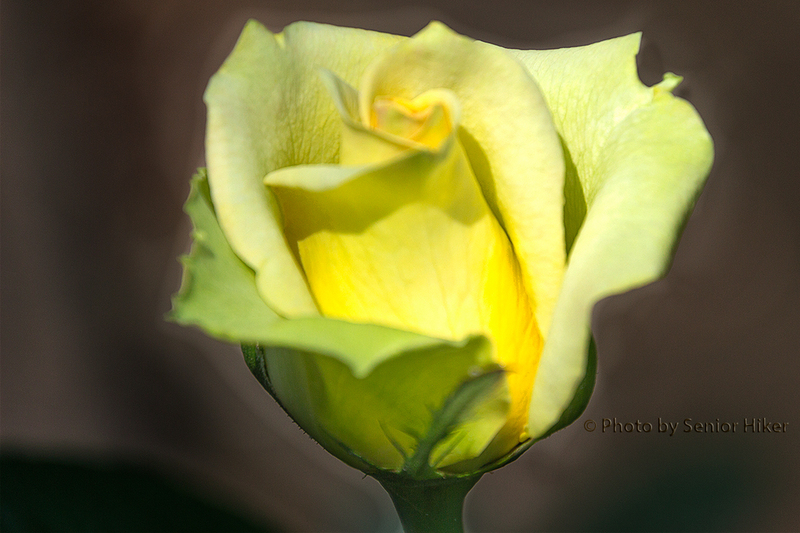 The other day I was working in the yard when ‘The Yellow Rose of Texas’ came on my iPod. 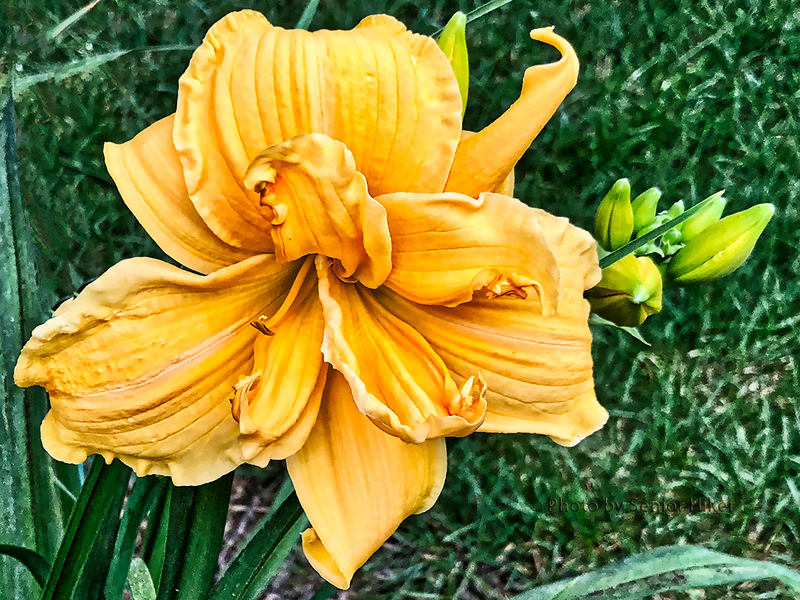 Now I don’t know much about yellow roses in Texas, but I have some experience with yellow day lilies in Tennessee, so I thought I would share a few of them with you. The beauty above is Buttered Popcorn. 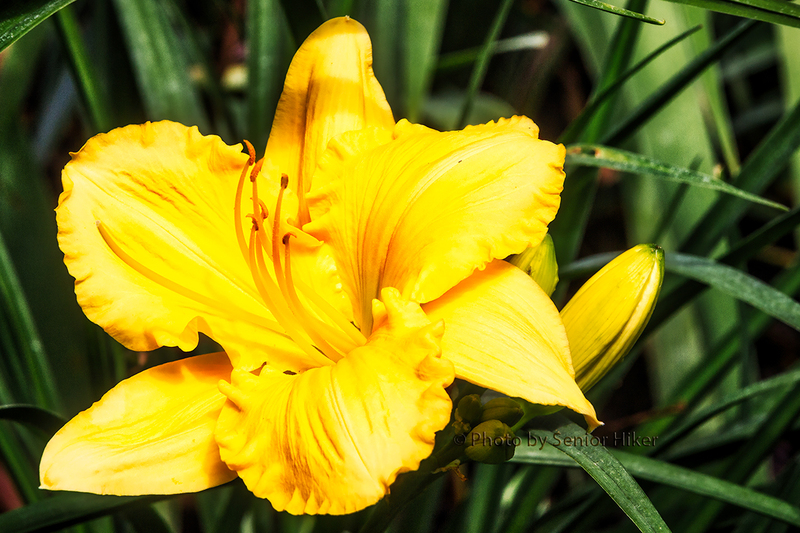 It is one deepest, richest yellow I’ve seen on any plant. 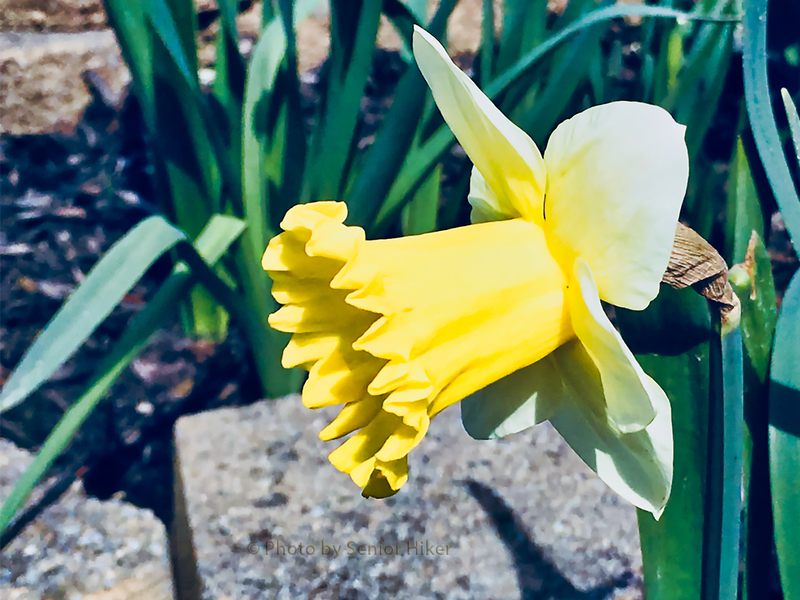 One of the nice things about Buttered Popcorn is that it re-blooms throughout the season. 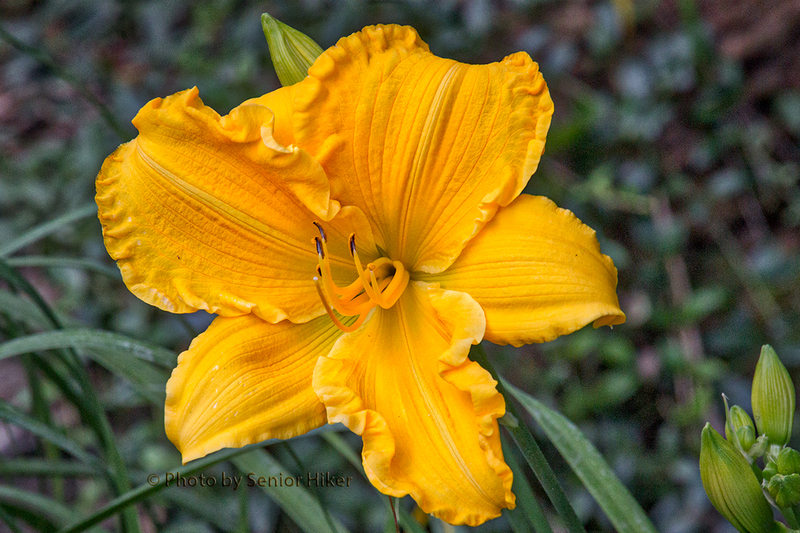 Carolyn Criswell is a bright yellow day lily that we’ve enjoyed for enjoyed for several years. 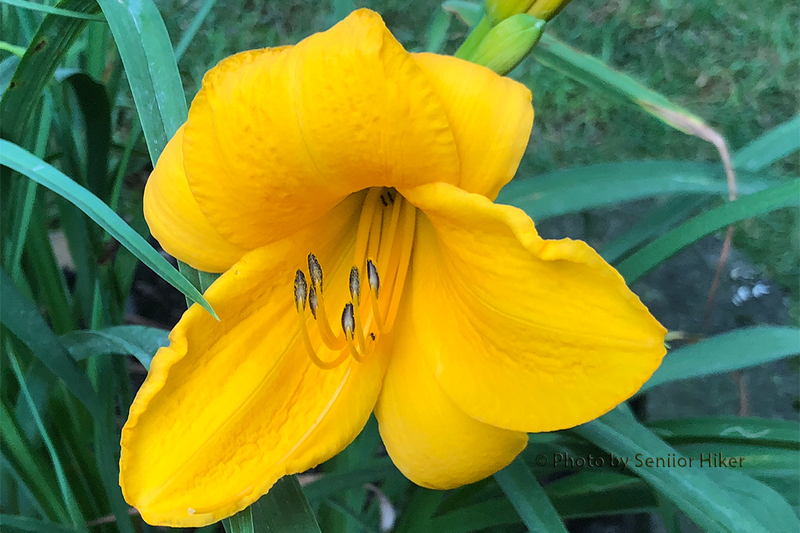 It is not a re-bloomer. 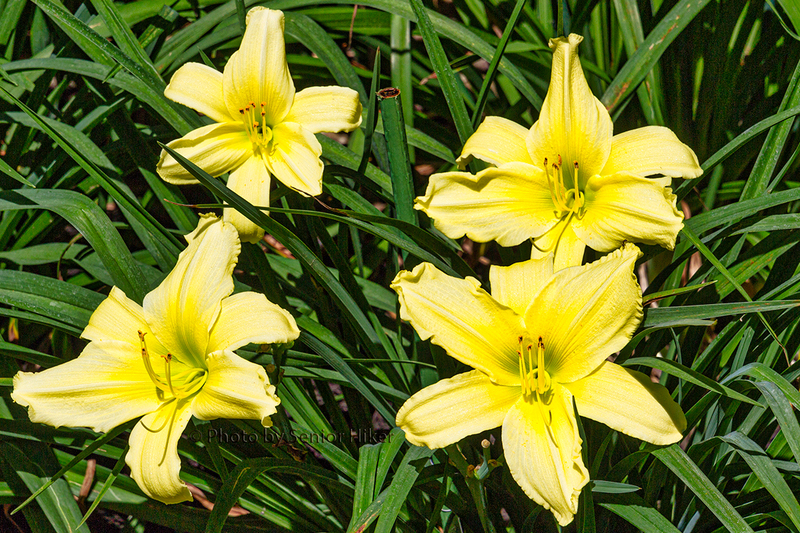 Lemon Vista is a pale yellow day lily. It is also a re-bloomer. 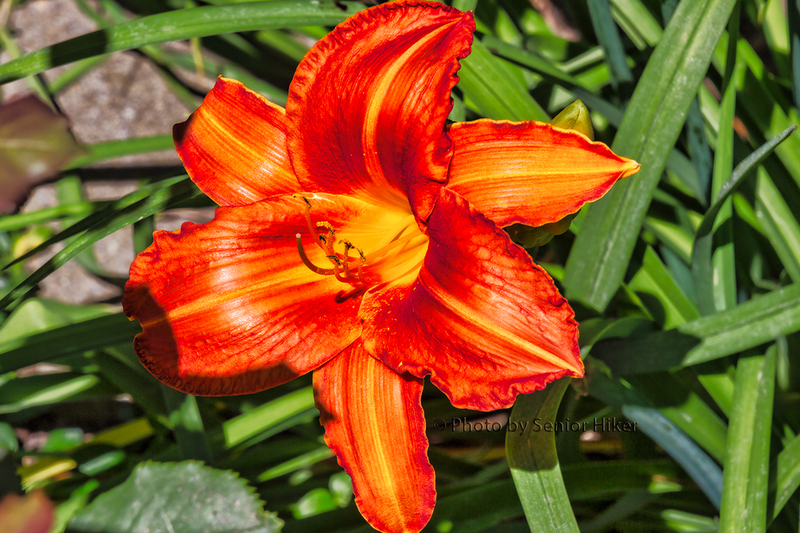 I may be cheating just a little with Star Struck since it has some orange in its blossoms. 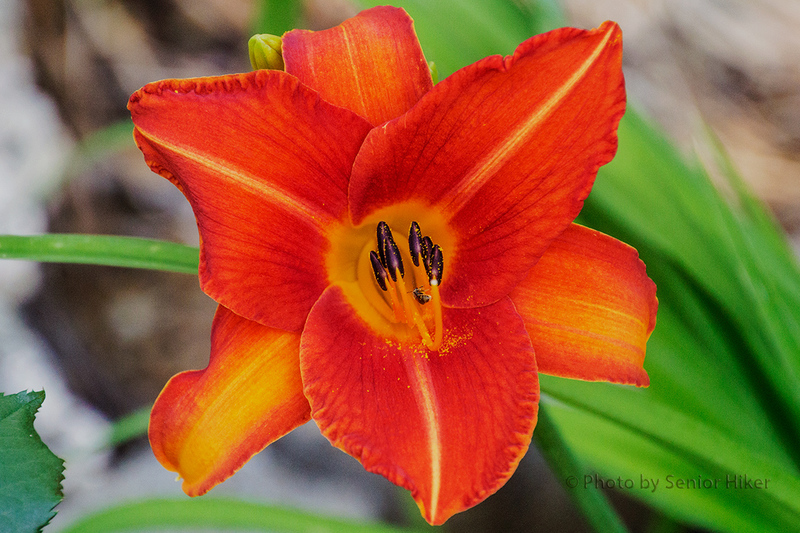 Star Struck has one of the largest blossoms on our day lilies, and it, too, is re-bloomer. Savannah Debutante has beautiful double blossoms. This is a relatively new addition to our yard. 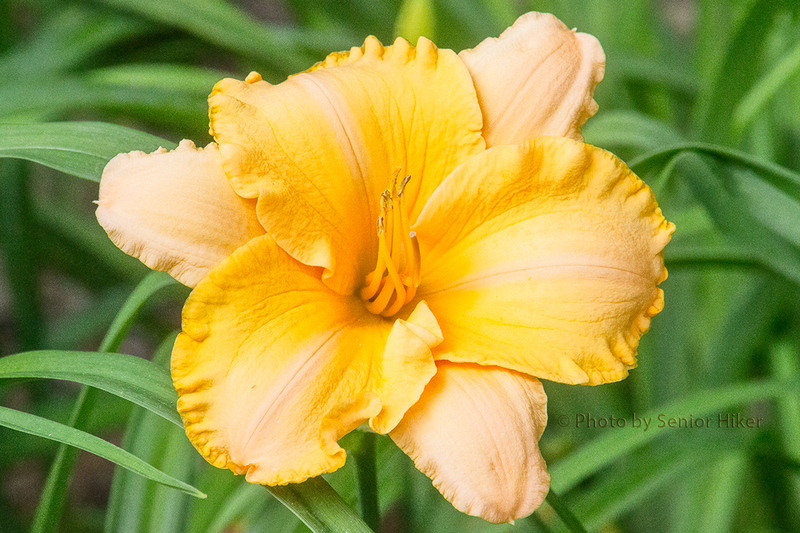 We have some other day lilies with other shades of yellow in them. 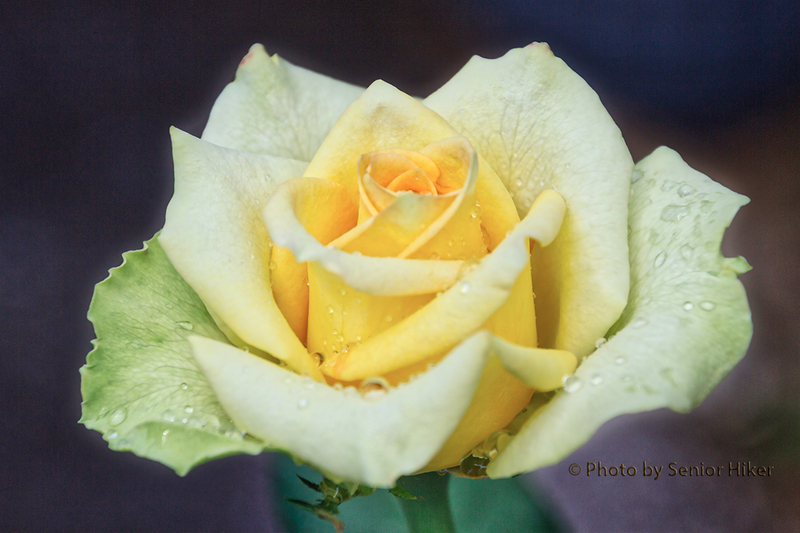 Perhaps, if ‘The Yellow Rose of Texas’ comes up on my iPod again, I will share some of these with you. 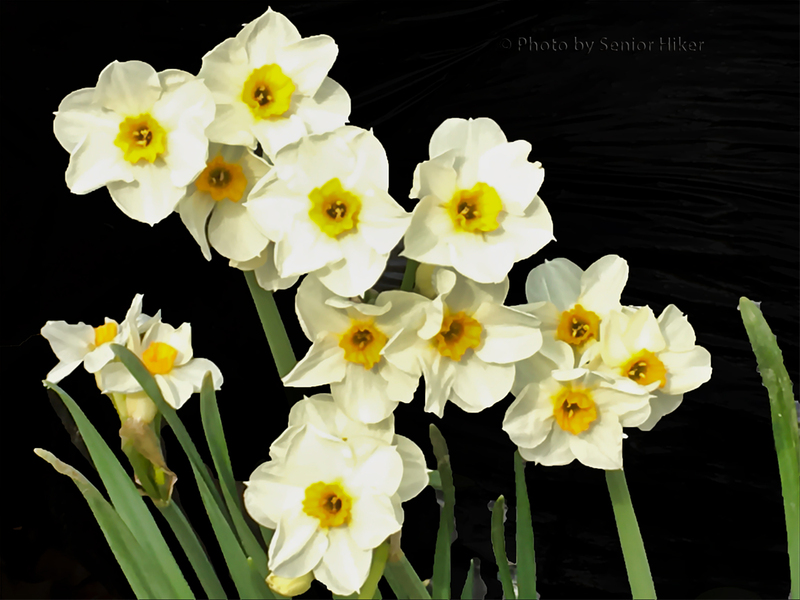 We had very strange weather here on the Cumberland Plateau in late winter and early spring. 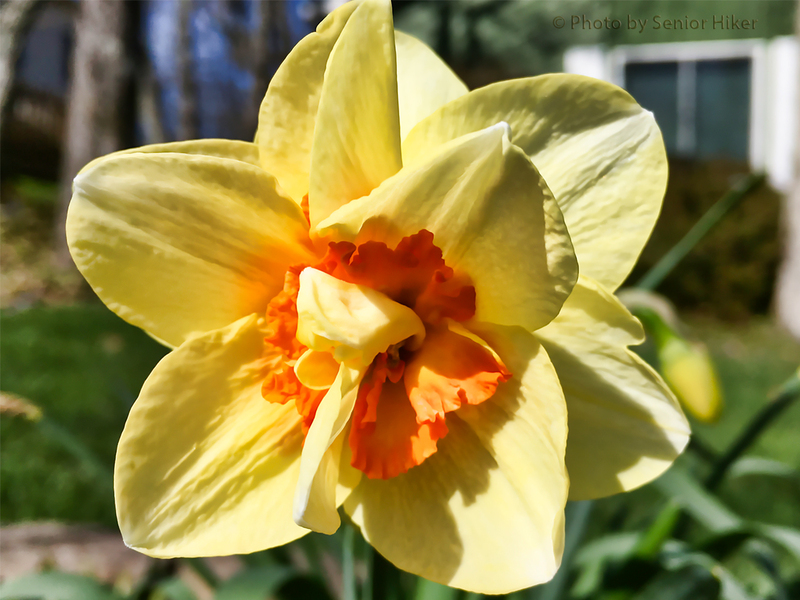 February was unusually warm, while April was much colder than normal. 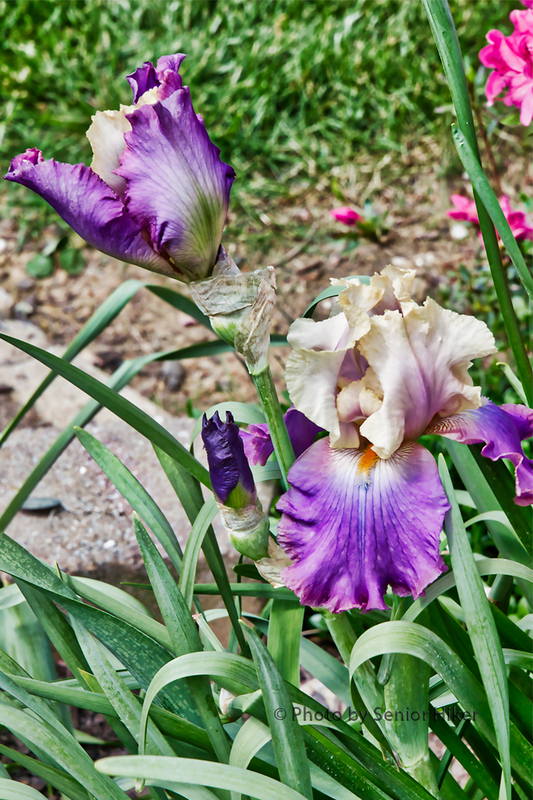 As a result we were kept wondering about how well our plants and flowers would do, But once we got into May the irises started putting on a show. The iris above is Mother Earth. I really like these colors. 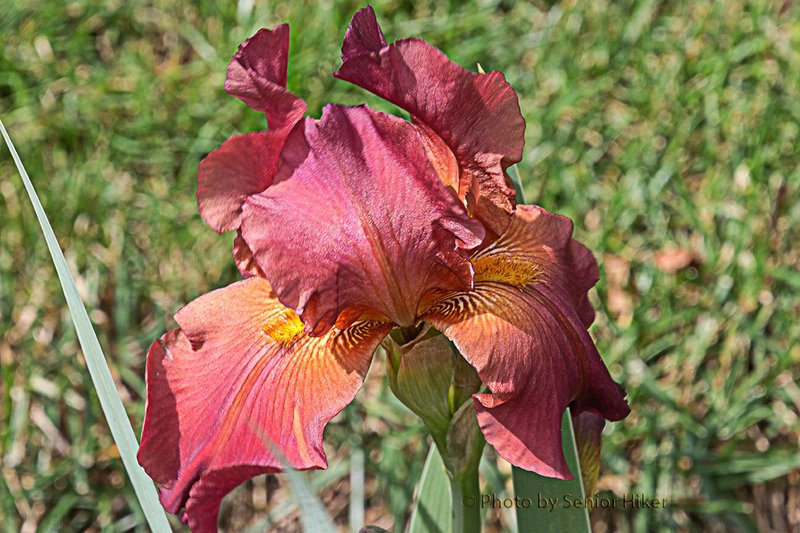 Cable car is another iris we’ve enjoyed for several years. 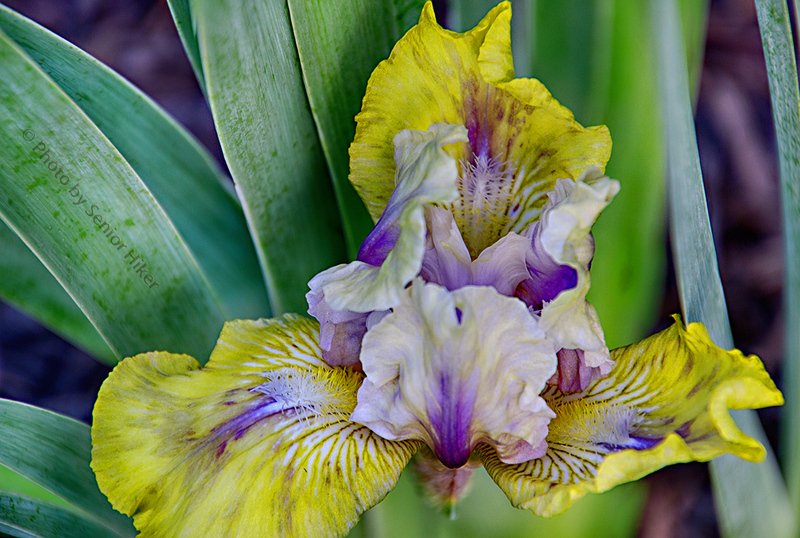 I like the unusual colors of this iris. Eugenia King is a relatively new iris in our yard. But she still puts on a nice display. 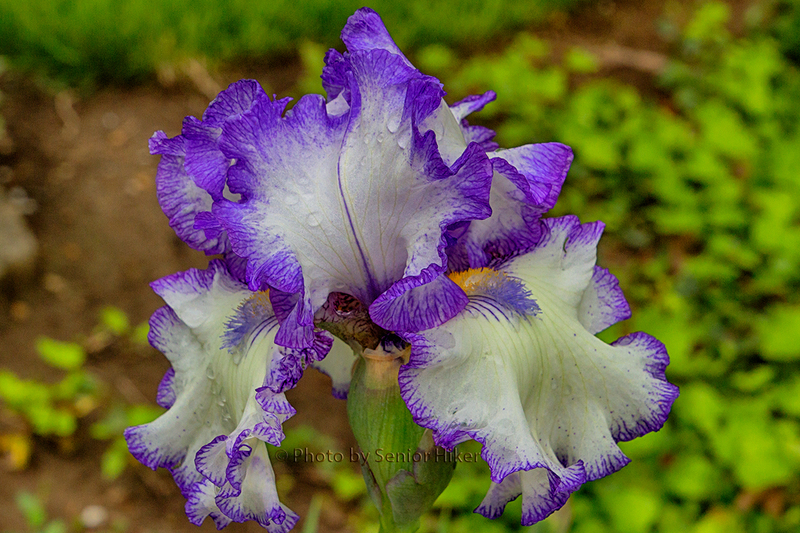 I had to include My Beautiful Bride’s favorite iris, although I think she likes it as much for the name as anything else. 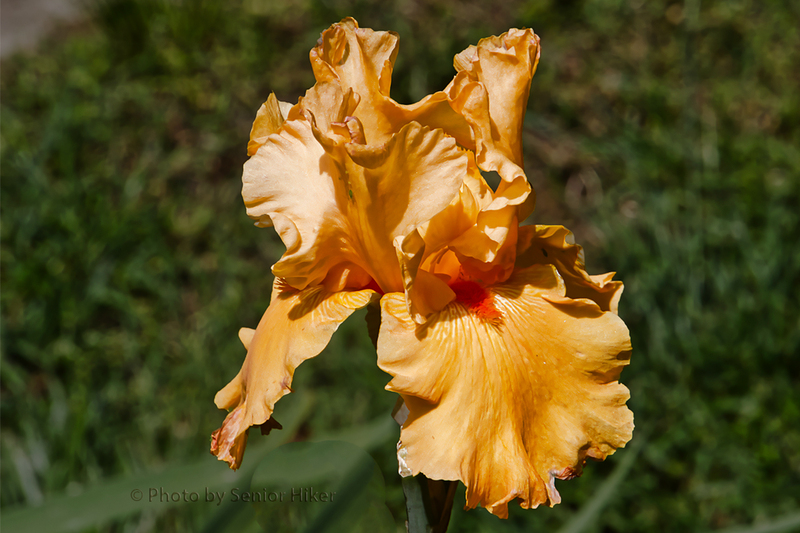 This is Tennessee Vol, and is a must-have iris for any die-hard University of Tennessee fan. 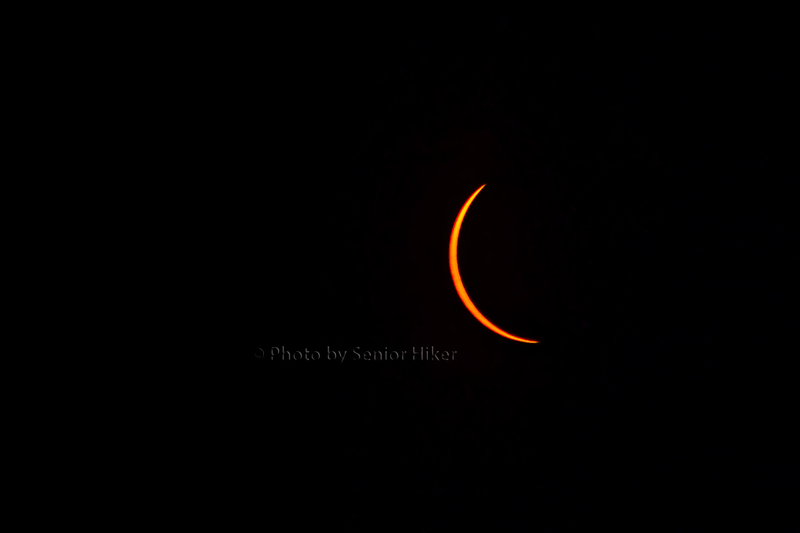 Betsy and I had ringside seats for the solar eclipse on August 21, 2017. 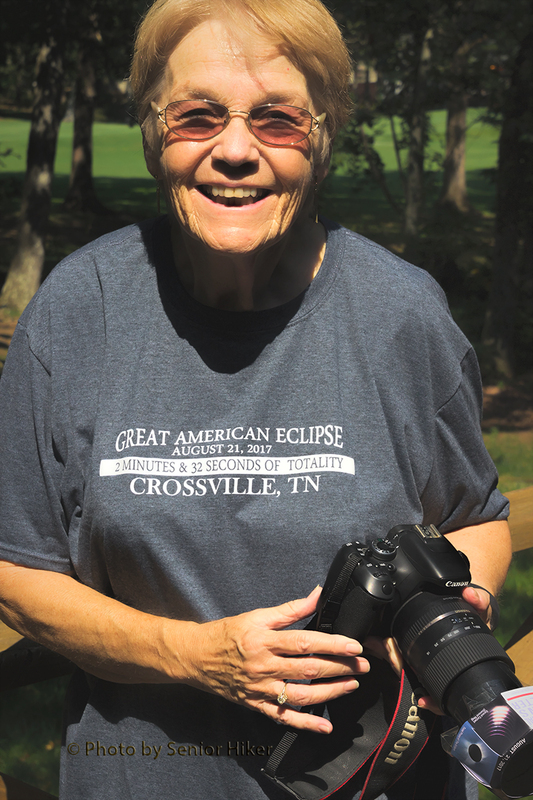 Crossville was in the zone of totality, and it was a very big deal as you can see from the t-shirt My Beautiful Bride is wearing. 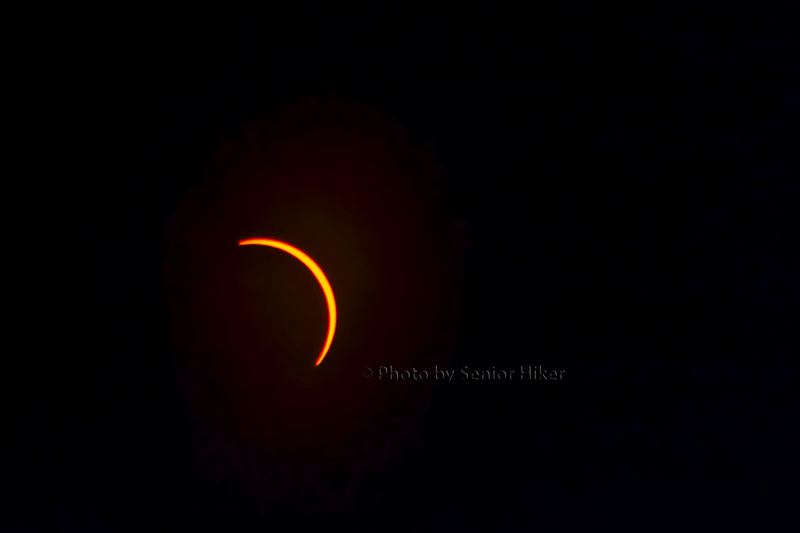 Clouds were forecast for the afternoon of the big event, but they fortunately stayed away enough for us to enjoy the show. 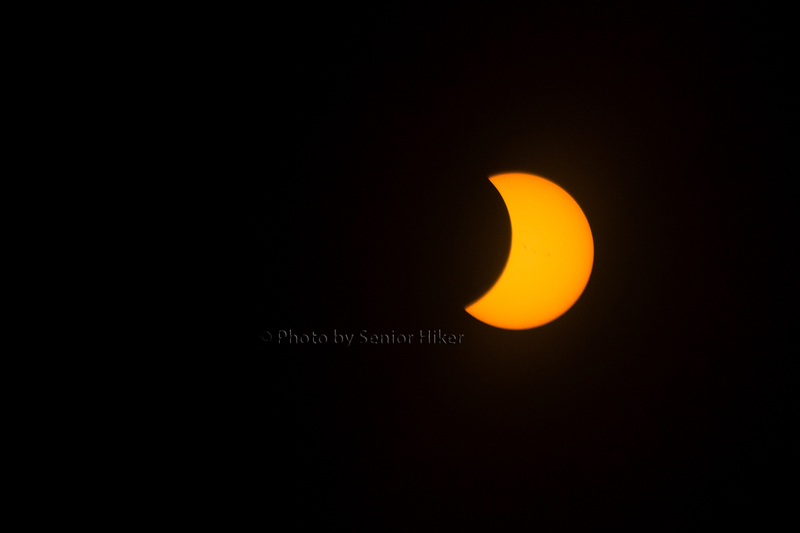 It was quite an experience to see the moon start to block out the sun. 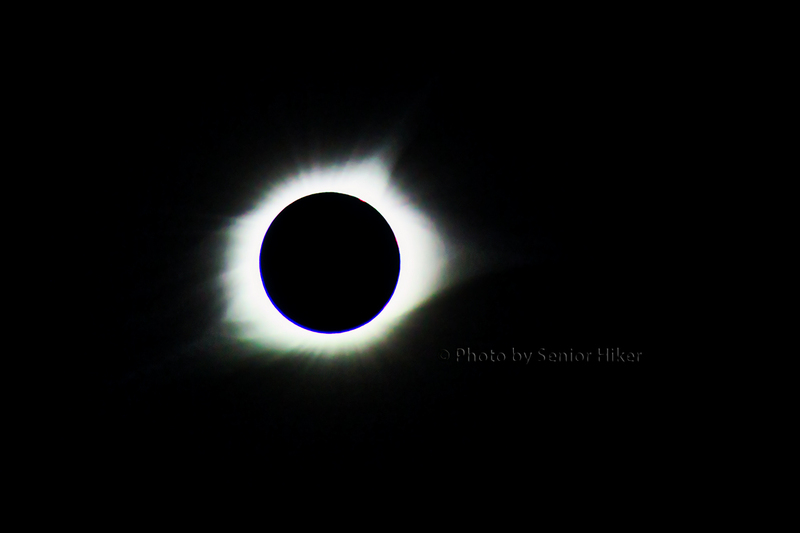 In some ways I wish I had better camera equipment, but I was delighted to get the pictures that I did get. 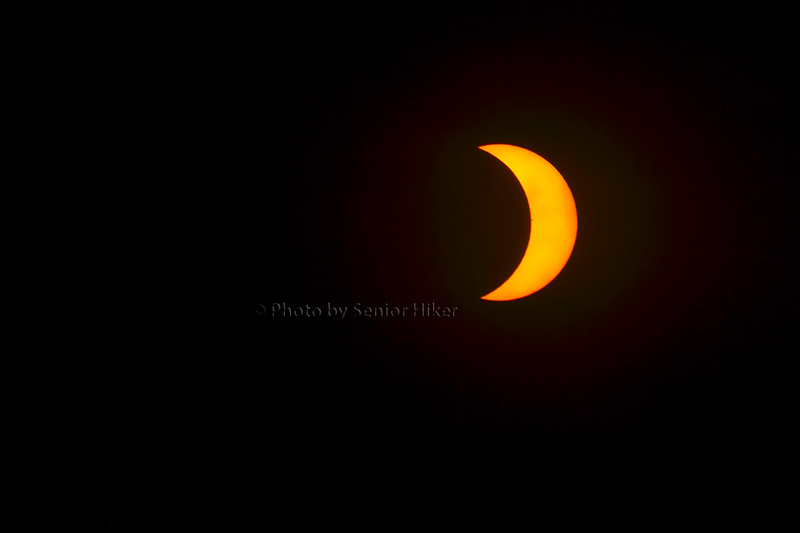 It was truly amazing to see the sun becoming a smaller and smaller sliver of light. Then the sun was completely covered. It became night as solar lights came on and birds stopped their singing. I was able to capture the sun’s corona shining around the moon. 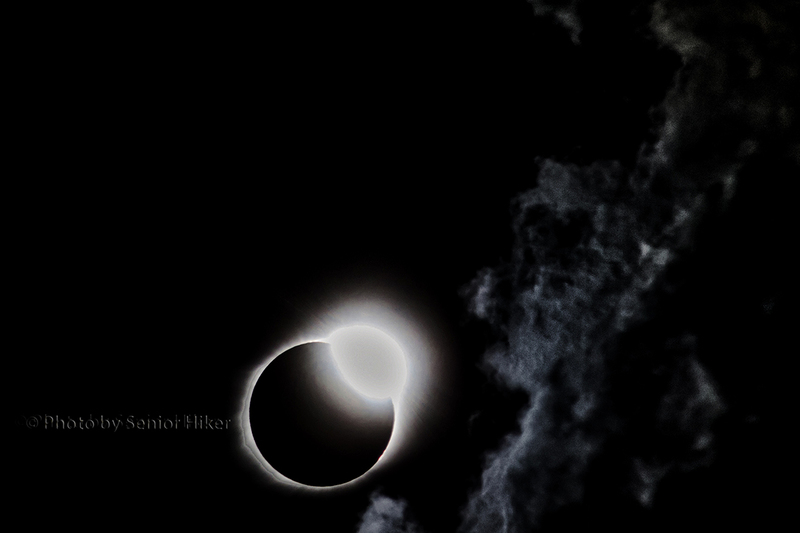 As the sun began to emerge from behind the moon I was able to capture a ‘diamond ring’. That was really a special moment for me. 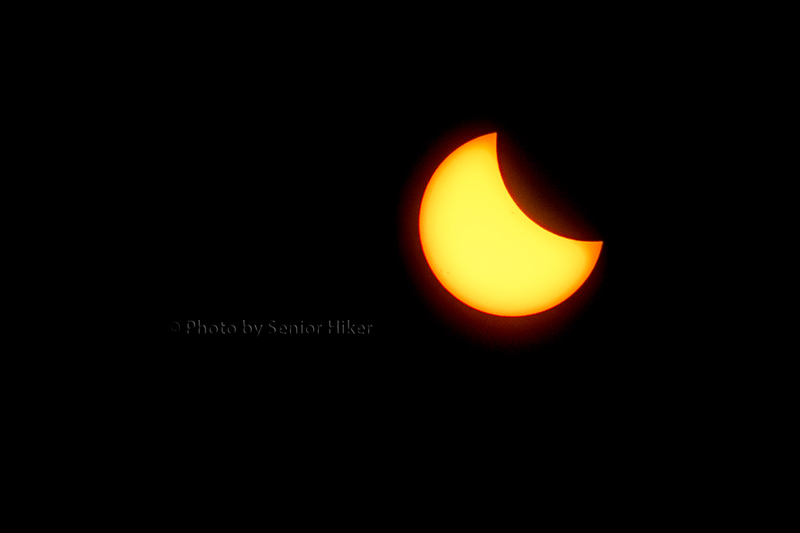 As the moon continued to move away, a sliver of sun appeared in the sky. 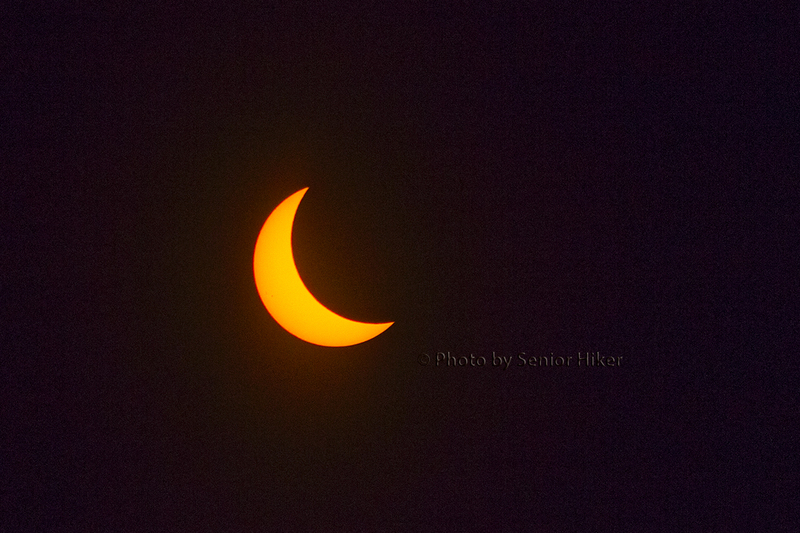 As the moon moved even more, the sun became a crescent. Our world got lighter as more of the sun became visible. Soon the magical once-in-a-lifetime event was over. 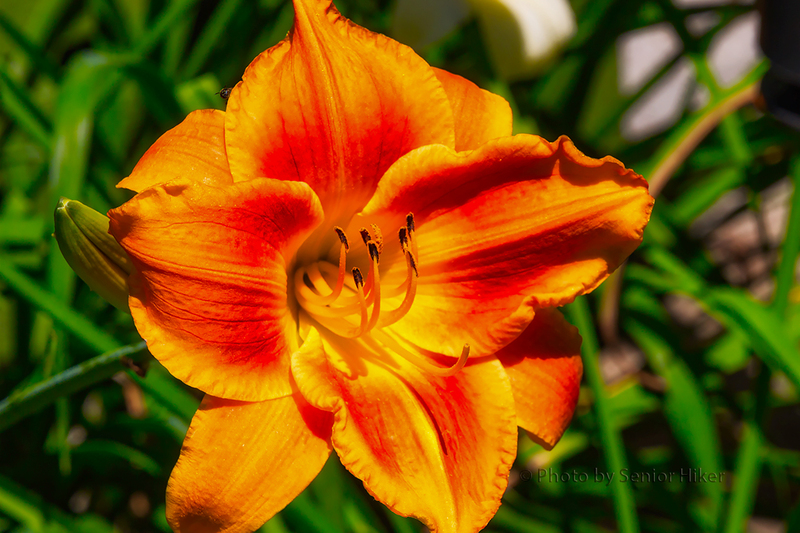 I’m sure it comes as no surprise that Betsy and I love flowers and we enjoy having them in our yard. But what type of flower works best for us? Betsy loves tulips, but so do the chipmunks that live around us. Roses are beautiful, but they take a lot of work. 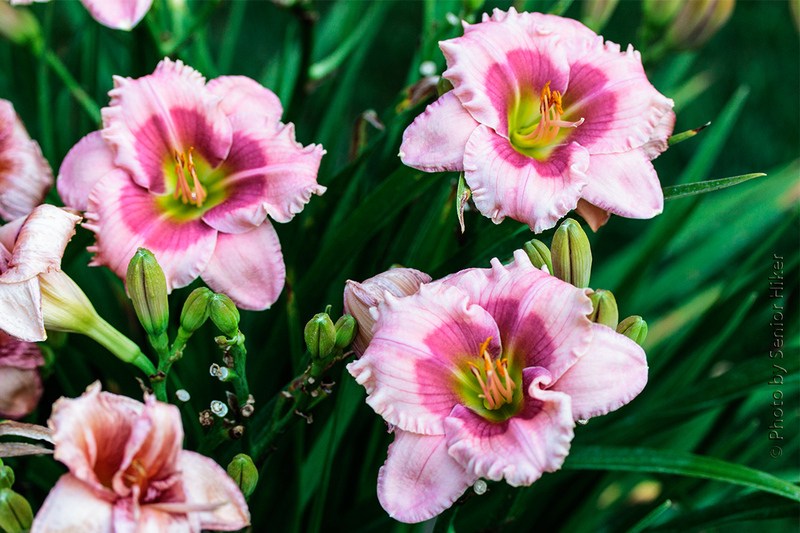 We both like lilies, but so do chipmunks and deer. As you can see, finding the perfect flower to grow here in the is not easy. 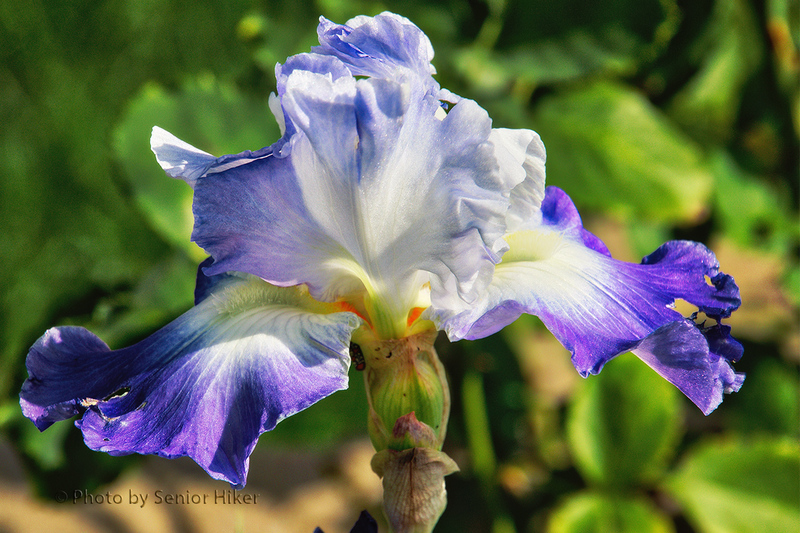 We have had success with iris however, and this year they have been putting on quite a show. The iris above is Eugenia King. 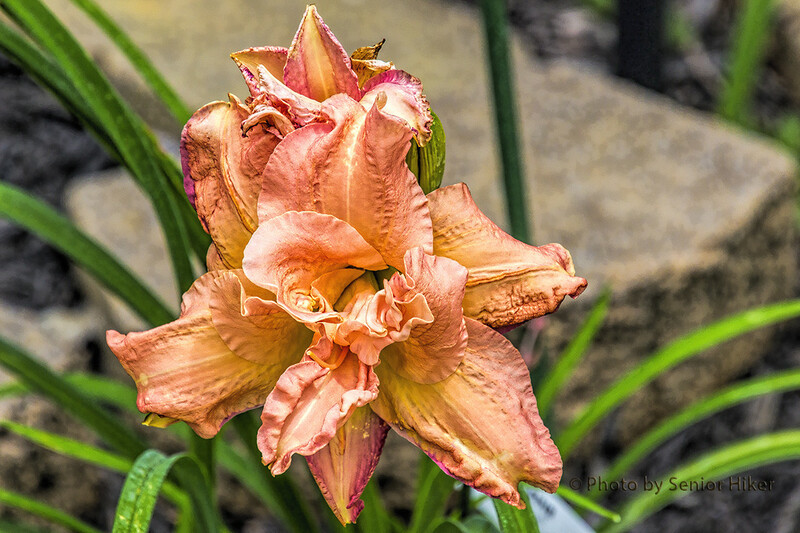 Bountiful Harvest is one of Betsy’s favorite irises. She really likes the colors of this one. Cantina is one of my favorites. I love the purple color with the steaks of blue in the falls. 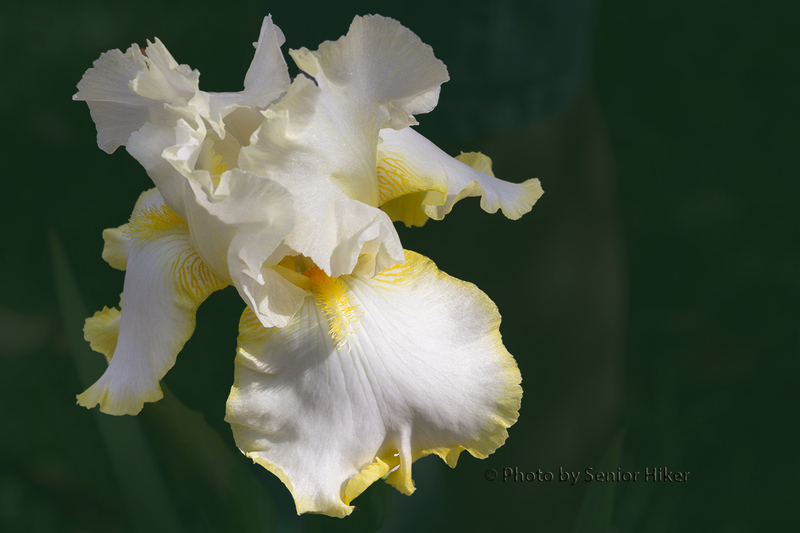 Eggnog has a vibrant color, but I almost always get thirsty when I see this iris. I really think Goodnight Kiss is a beautiful iris, but I really like the goodnight kisses of my Beautiful Bride much better. 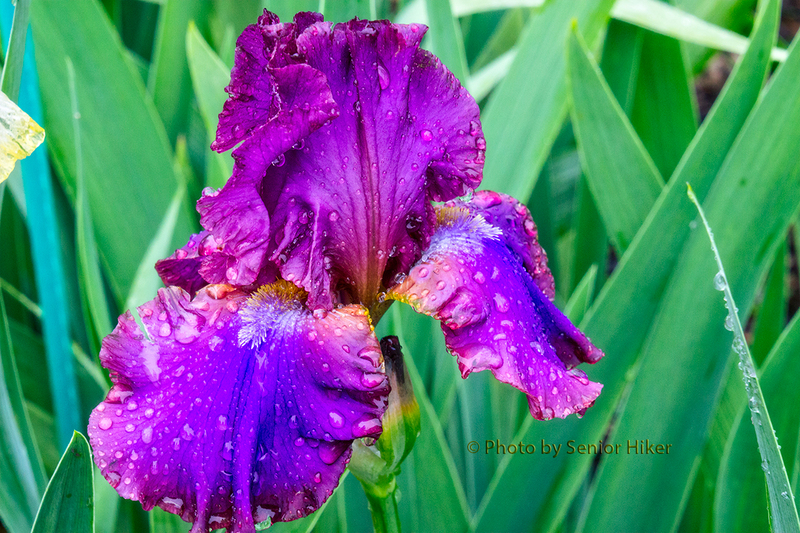 Betsy and I are fortunate to be able to enjoy iris at various locations in our yard. 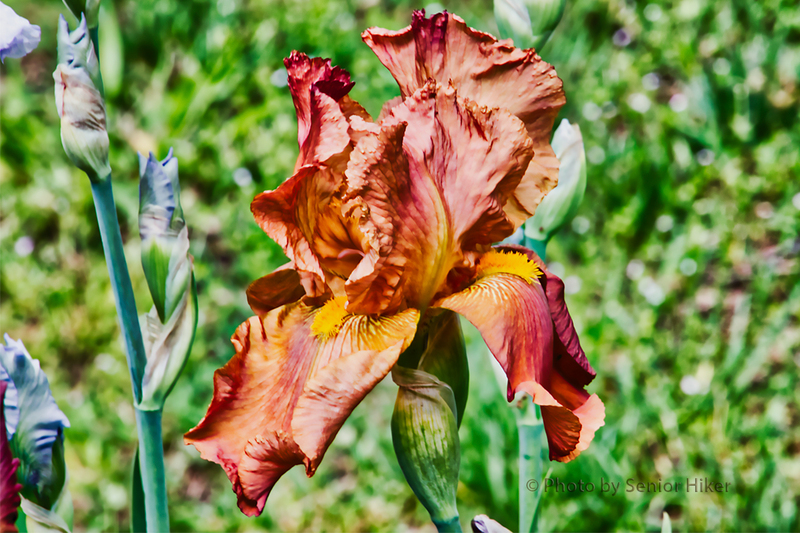 I like iris not only because they are beautiful but also because they require relatively little care (unlike our roses!). 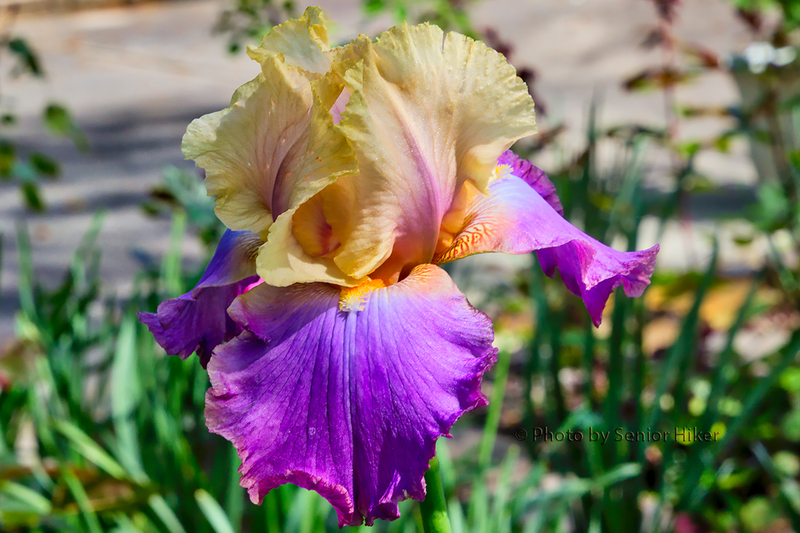 When Betsy and I started getting serious about our yard, we discovered that there were such things as reblooming iris. 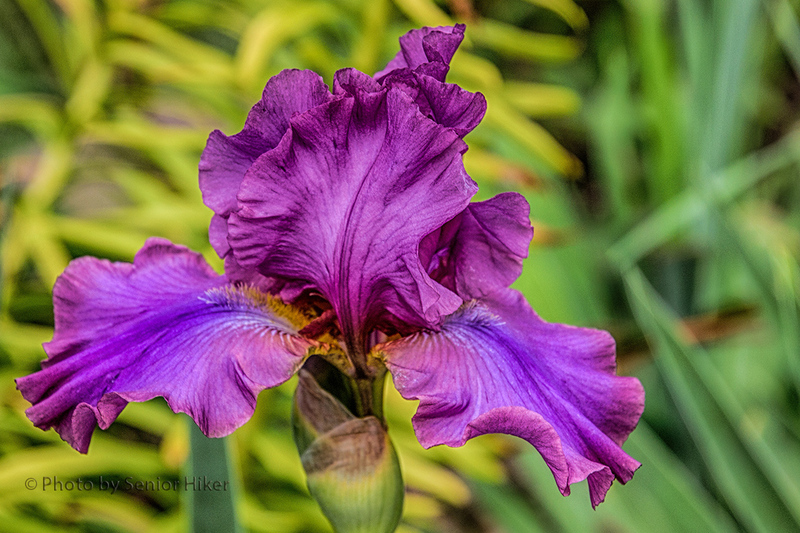 Most of the iris we have are rebloomers, so we can enjoy the blossoms twice a year. It’s rather like doubling our pleasure. The iris in the header is Cantina. 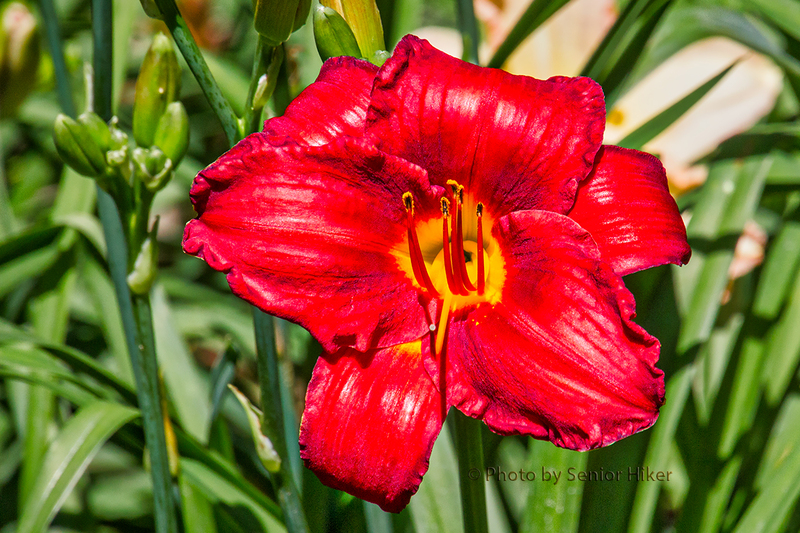 This beauty has been in our yard for several years, and I always marvel at the color. 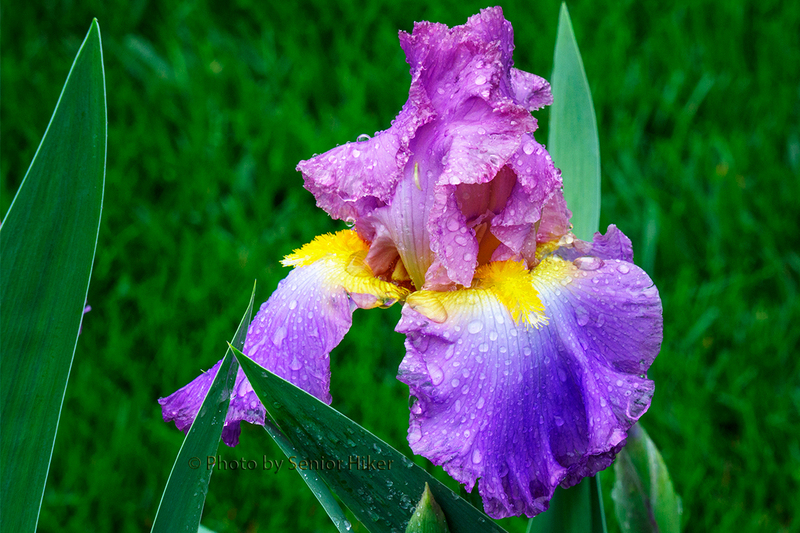 Clarence is another iris that we’ve enjoyed over the years. 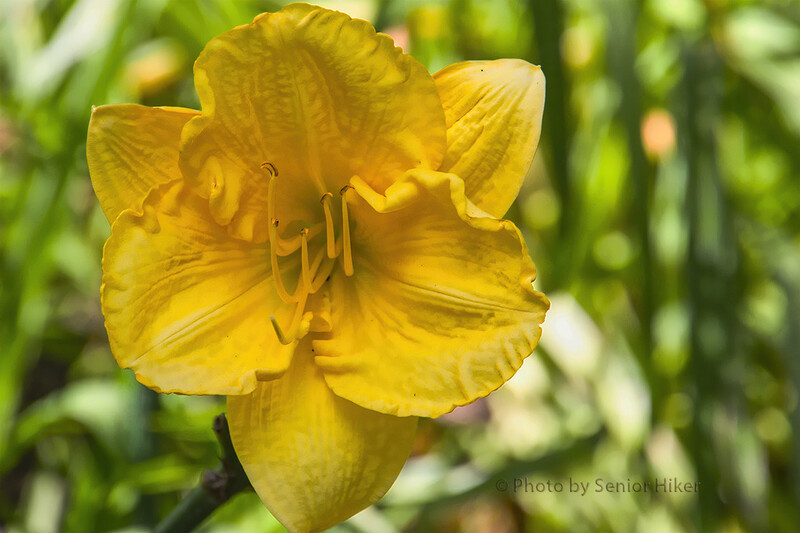 It is in the flower bed near the road, so we share it with people passing by. 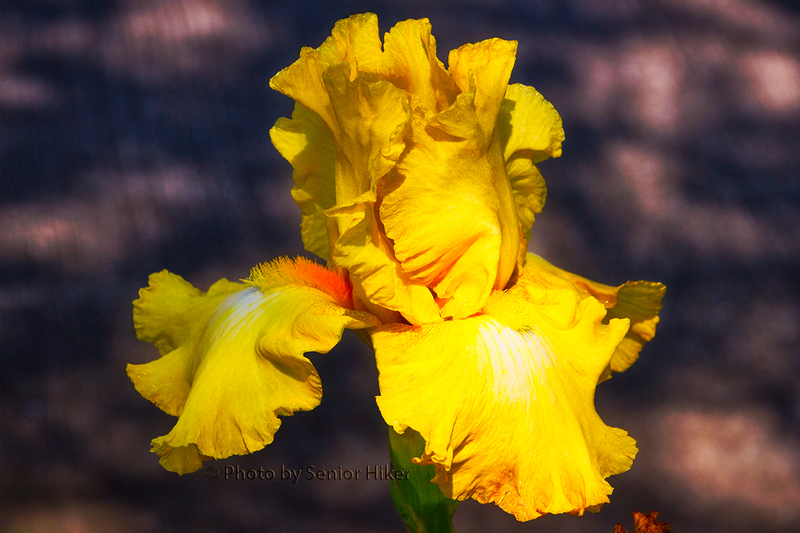 One of our newer iris is Lemon Duet. 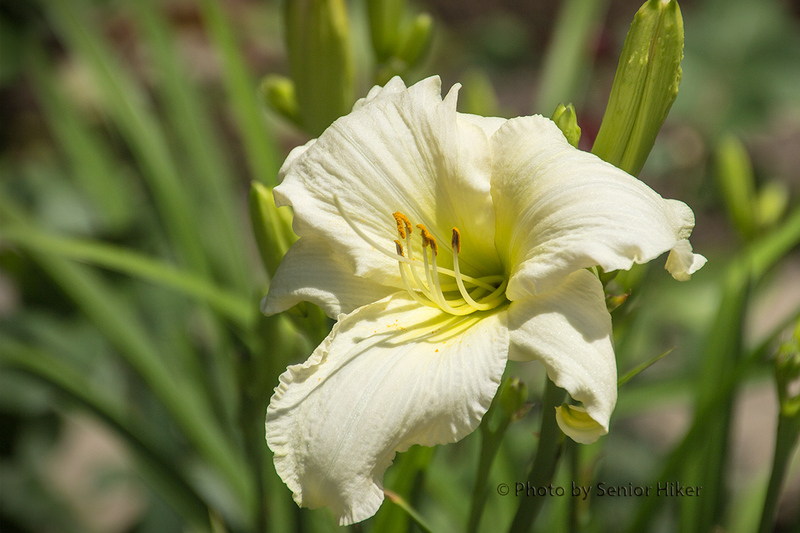 This is actually the first time it has bloomed for us in October, but we’re very glad it did. 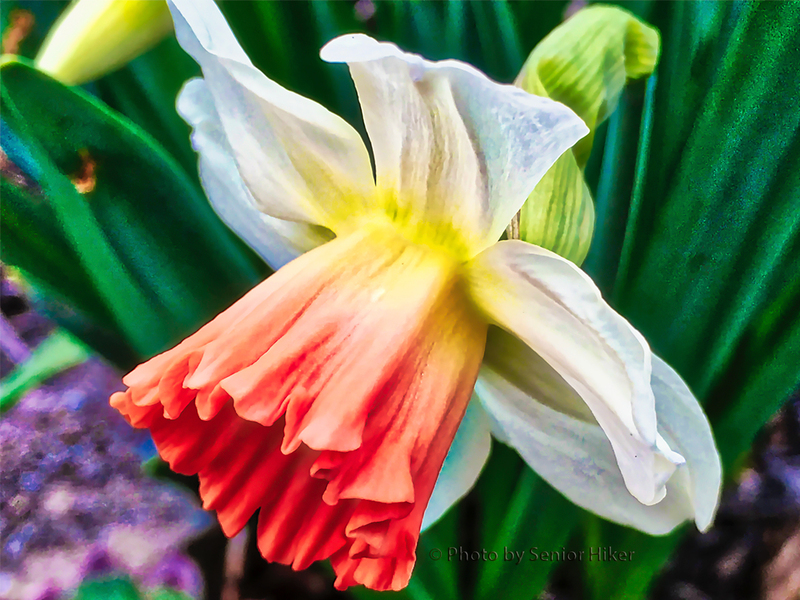 My Friend Jonathan has been a good friend and has put on a spring and autumn show ever since he joined our yard. 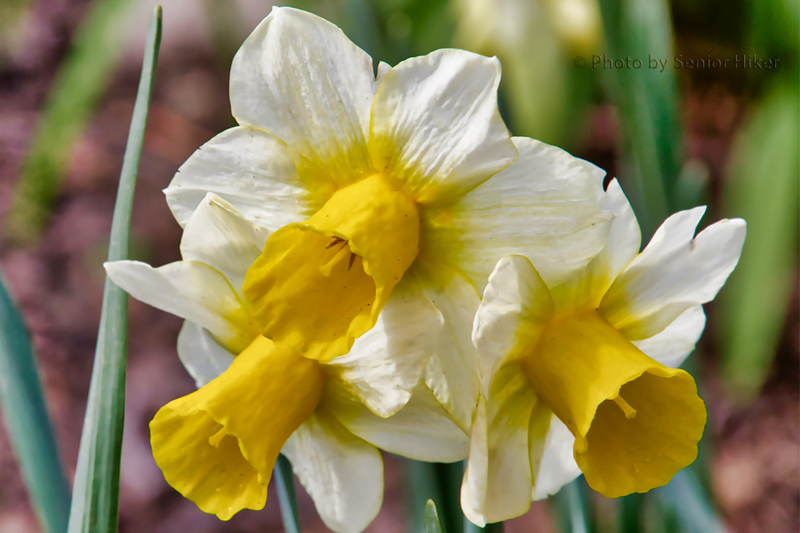 Double Your Fun is a newer iris for us as well. 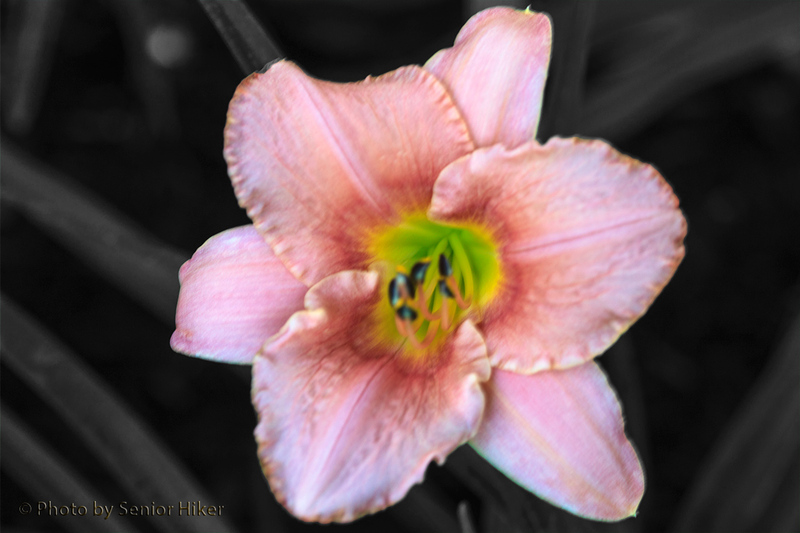 The drought kept it from developing normally, but the colors are still gorgeous, so I could leave it out. 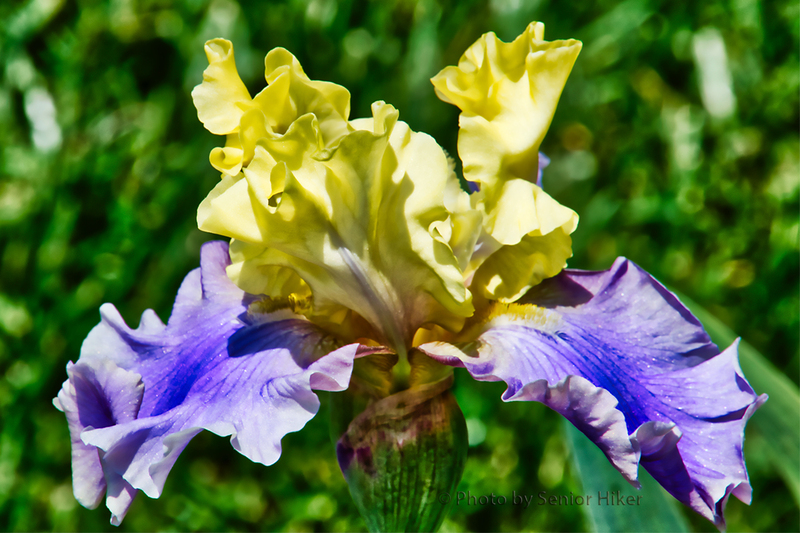 I hope you’ve enjoyed our autumn iris blossoms as much as we do. They say confession is good for the soul. I hope ‘they’ are right, because I feel I really should confess about some of the ladies in my life. If you go beyond this paragraph, however, you have to promise not to tell Betsy about my confession. One of the first ladies I see each summer is Janice Brown. She’s very pretty and perky, as you can tell by the photo above. 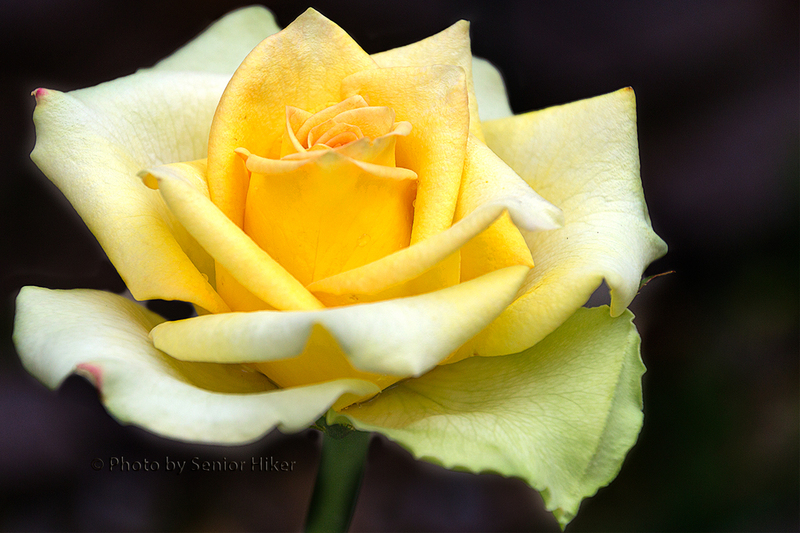 I must admit to being partial to blondes, and the bright yellow of Carolyn Criswell is always a delight to see. Judith is somewhat shy, but she is always a joy to have around. I have a great deal of Irish in me, so I suppose it’s natural that I’ve been drawn to Dublin Elaine. In my mind there aren’t many like her in this world. Of course it’s hard to think of the Irish without picturing fiery redheads. Lady Lucille definitely fits that description. Last, but not least, is Lady Elizabeth. I suppose I shouldn’t feel too guilty about seeing her; after all Betsy’s first name is Elizabeth. There — you have my confession. I wonder when I’ll start to feel better?